We are in a particularly critical period in human history- and America’s Destiny seems to be hanging in the balance. Please prayerfully consider these ‘dreams’ and know that how the Body of Christ enters into this season- with humility, prayer with fasting, and crying out to GOD will determine the difference. I believe that the cloud in the dream represented a mighty outpouring coming to America that is beginning to stir up in the heavens. The Lord impressed on my heart that He wants revival and awakening in our land more than we do. I felt a charge from the Lord for the Body of Christ to begin seeking after Him in fasting and prayer to a greater degree than we already are. The second night, the dream was the complete opposite. I felt the Lord say, “Look down.” In this dream, I was standing on a long beach and out in the middle of the beach there was a sinkhole, and all the sand was going into the sinkhole like water in a drain. I felt the Lord say that He wants us to start looking vertical and stop looking horizontal. It is obvious that America seems to be going down the drain. If we look down (horizontally) at America, we could easily think that our nation’s moral decline is like the sinkhole in my dream. It is easy to get mad or frustrated with where it looks like America is going. As our world seems to be heading into a very crucial and Kairos time, it leaves one to ponder what is actually on the horizon. If you watch any of our news outlets and look at recent events in our nation you might think there is no hope and that only perilous times are ahead. However, there are so many prophetic voices speaking about Revival and Awakening in this hour. We are about see a great move of God in our land! We can choose to either look up (vertical) to where God is preparing our nation for a mighty move of His Spirit, or look down (horizontal) at the natural circumstances of where America appears to be failing. He IS Looking For You AND Me! I’m telling you, my friends, if you look up and fix your eyes on the Lord our God, you will know there is hope for America. God is getting ready to release an outpouring of His Spirit that will flood America and the nations of the earth. Like most Believers, I recently looked into the Bible, the infallible Word of God, for answers. Then I ran across two Scriptures that seem completely on opposite ends of the spectrum. Now I know the Word is 100 percent accurate, so I looked closer into these two Scriptures about the last days. I believe that both of these Scriptures descriptions of the last days are very accurate. However, I believe that the “perilous” or “dangerous” times described in 2 Timothy is the dark backdrop that God will display His radiant glory upon when revival and awakening bursts onto the scene in these last days! I choose to walk in the camp of the people who are contending for revival and awakening in America. I believe we are so close to an outpouring of God’s power and presence. See, my friends the question is not are these two Scriptures both true? The question I have for you: Will you look vertically or horizontally? Sons AND Daughters of The Eternal Kingdom ARISE! The third night I had five separate dreams all rowed into one. In each of the five dreams I saw myself in a situation where the glory of God was poured out in an unmeasurable amount. The first dream I was sitting in a revival service in a place that was unfamiliar to me with ministers that I do not even know. I can tell you in this service the glory was poured out to the degree no one could stand. The second dream I was hosting a revival service at our Burn Texarkana meeting and the glory of God was poured out and there was no limit to His power. In the third dream, I was walking in my city, Texarkana, in a poverty-stricken area and started ministering to people on the streets and the glory of God was poured out in that area. In the fourth dream I was at a grocery store and other people were ministering to people that were shopping and the glory of God was poured out. BE Filled To Overflowing With HIS Holy Spirit Of Promise! My friends, I am so stirred in my spirit right now after these dreams. Now is the time for revival and awakening to happen in America. If we focus on the horizontal which means the day-to-day natural circumstances of life and all the things going on around us, we will miss out on the mighty outpouring God is stirring up over America. But if we choose to live with our eyes lifted up, vertically looking to our mighty God, then we will see revival and awakening and an outpouring of God’s Spirit on this nation! Joe Joe Dawson is the president of Burn Texarkana Revival center and House of Prayer. 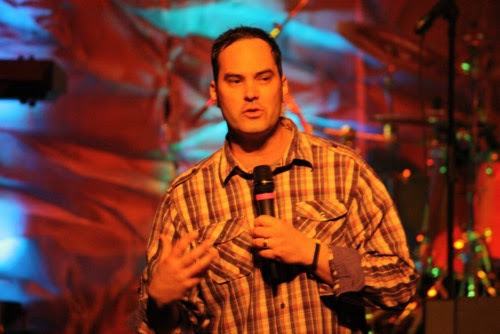 Pastor Dawson also serves as staff evangelist for First Assembly of God in Texarkana, Texas, where he also is now the Tribe College/young adult pastor. Burn Texarkana has two revival/awakening services a month at First Assembly and multiple prayer meetings weekly. Joe Joe is married to the love of his life, Autumn, and together they have three kids: Malachi, Judah and Ezra. He also serves on the Apostolic leadership team of New Breed Revival Network with Ryan LeStrange and Jennifer LeClaire. Amen-Amein Brother in Christ Jesus-Yeshua! !